In 1989 I resided in Hawaii where I owned a art supply store . I had the opportunity to study art with amazing artists in paradise . 1991 I moved to Yachats Oregon a small artsy town on the Oregon Coast. I built a ocean front B&B /gallery . 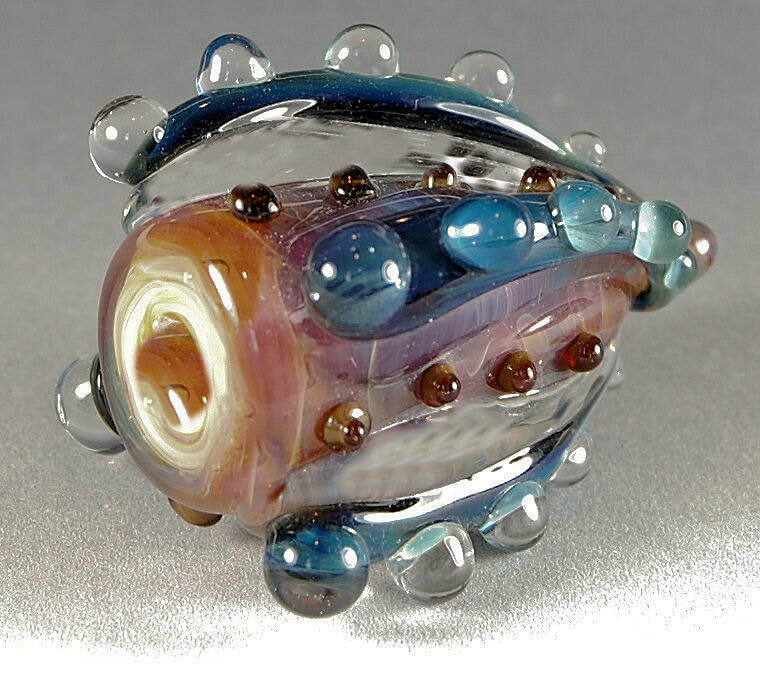 In 1995 a client introduced me to glass work and it was love at first try. 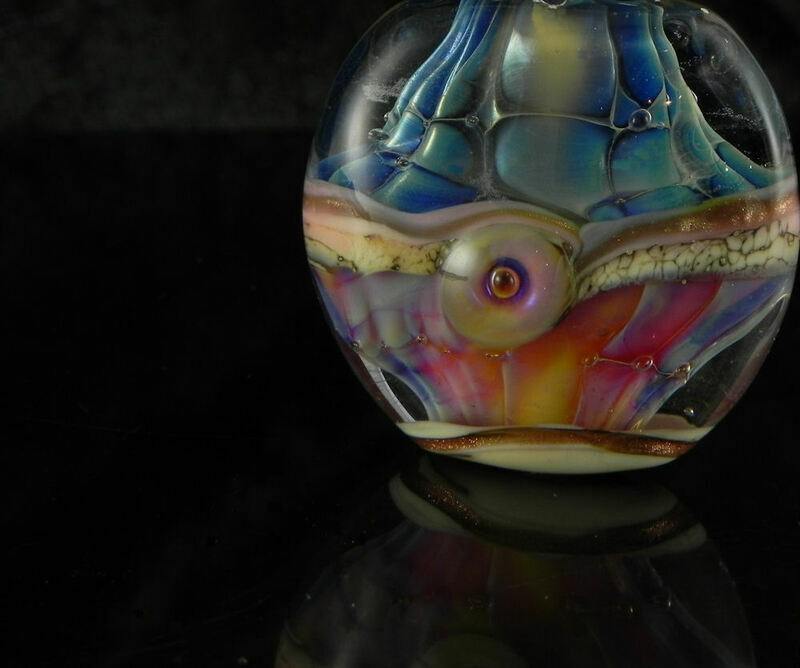 After 5 years running the B&B by myself, I downsized and spent more time working hot glass. My friend Valeria suggested I open my own gallery bead shop as I was amassing quite a collection of handmade glass beads. 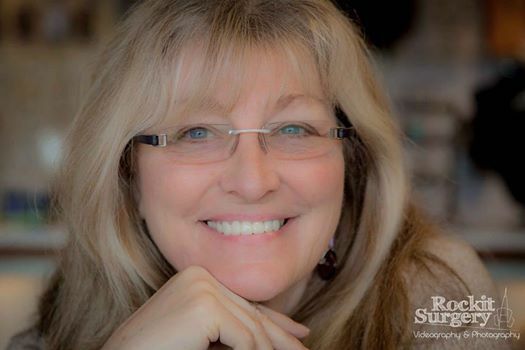 So Heartsong Glass Gallery became a reality in April of 2000, I rented a 600 sq foot space in Seal Rock, and began my new adventure. In the beginning I created my glass beads in store, made jewelry and carried a selection of artworks from local artists and national companies. 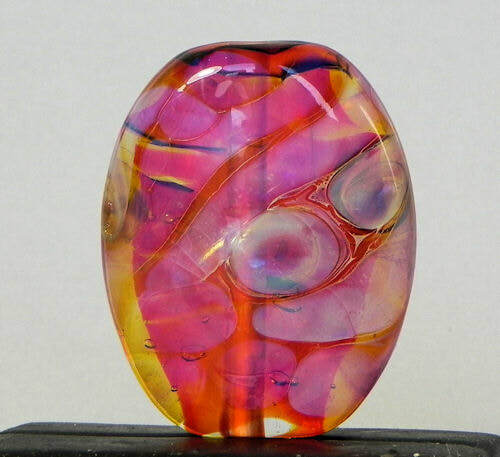 5 months later I purchased a funky old falling down 1900 sq ft building , after years of fixing the building and focusing on developing my lampworking skills the store became Heartsong beads a full service bead shop . in 2018 I decided to downsize my shop so I could be more creative ,I am blessed to be doing 'what makes my heart sing' . My shop Heartsong is open Thurs to Saturday . I want to honor their memory and preserve their physical remains in a respectful way. My first memorial bead was created in 2009 when a close friend's sweet Bichon passed. 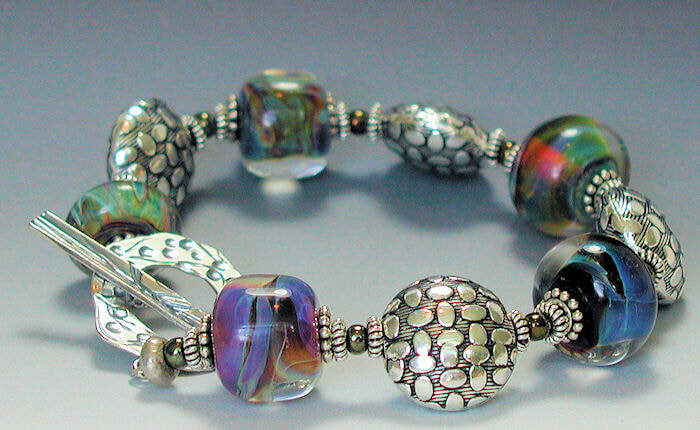 She wore the bead always, it gave her a small amount of relief from her grief . 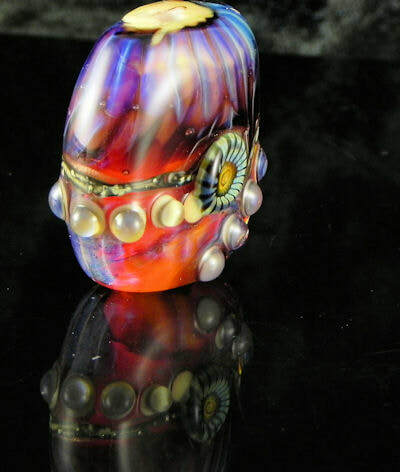 Since then I have created many memorial beads, each bead created as a one of a kind work of art encapsulating a small amount of ashes in the molten glass. 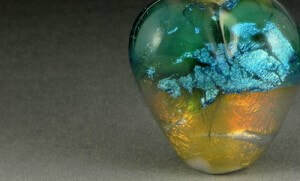 Hand made glass cremation memorials are the perfect way to preserve your loved one’s ashes forever. Handmade glass memorial pendant is the perfect way to keep a loved one close to your heart.